What's that feeling you get when a beautiful, generously specced, 19" multitouch all-in-one PC from a major manufacturer is reported to be available only in Japan? Ahh, right. Disappointment. UPDATED. 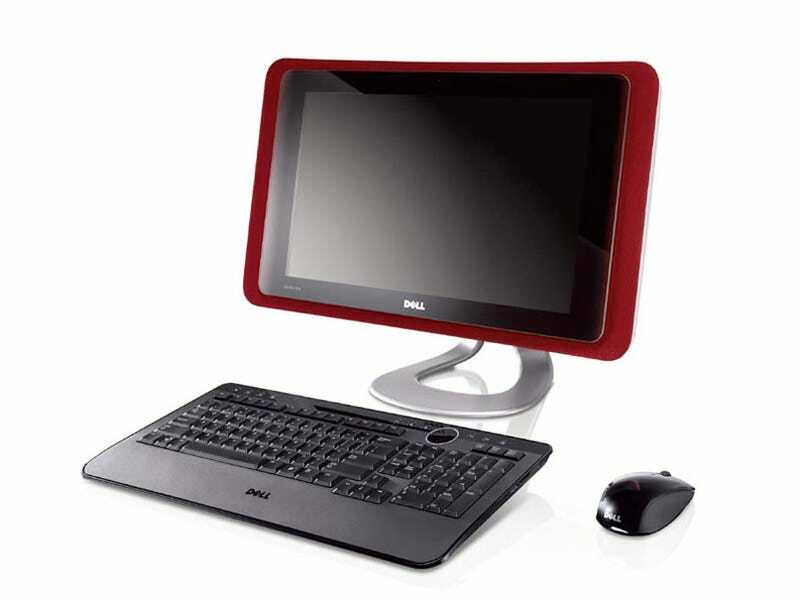 This is the Dell Studio One 19, Dell's powerful answer to the iMac, and semi-successor to the AIO XPS One. Some quick specs: a 2.93GHz Core 2 Duo, 4GB of memory, 750GB HDD, Blu-ray drive and integrated GeForce 9400 graphics unit comprise the guts of the rig, which is fronted by an extremely pretty forward-set 19" multitouch LCD. ROUND ROCK, Texas, March 12, 2009 – Dell today announced the Studio One 19, a beautiful all-in-one computer that looks just as good in the living room as it does the kitchen. The optional touch capability provides the optimal experience for moms and their kids as they peruse photos from Spring Break and other family events. The Studio One 19 is ideal for the shared computing experience, especially in family areas where people can effortlessly view and move photos, manage music and review home work. "The new Studio One 19 is as nice to look at as it is functional," said Alex Gruzen, senior vice president of Dell's Consumer products. "More and more people are making the kitchen the center of their entertainment and computing experience and the Studio One 19 is the ideal system for that need. The Studio One 19 is about lifestyle and design and is very affordable for the family." The Studio One 19 is made with beautiful aluminum, glass and fabric that make a style statement that people will want on display in their home rather than hidden. A single power cord means a much neater computing environment and experience. The Studio One 19 comes in several colors, including Solid Pure White, Tuscan Red, Navy Blue, Powder Pink and Charcoal. The Studio One 19 will be available in select Japan retail outlets including Bic Camera and Yodobashi Camera and on dell.com in Japan on March 23. The system will launch in many other countries later this spring. Starting price for the Studio One 19 is $699. · Easy multi-touch photo editing, slideshow creation, playlist compilation, notes, and even web browsing. · Unleash creativity with You Paint finger painting software. · Record videos and upload directly to YouTube with the touch of a finger. · Flick to Flickr – Upload photos to Flickr to share with family and friends. · Create a musical masterpiece with the multi-touch percussion center. †Software is optional and works with multi-touch configurations only.